High Sulphur Calcined Petroleum coke (often abbreviated petcoke) is a carbonaceous solid derived from oil refinery coker units or other cracking processes. Other coke has traditionally been derived from coal. High Sulphur Calcined petroleum coke is a kind of petrochemical product, whose raw materials is green petroleum coke. 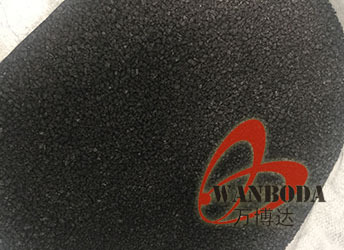 It is widely used to produce graphite electrode, graphite blocks, brakes pads and other carbon products..It can also be used as carbon additive in some steel and aluminum plants, another, it is used in refractory, insulation, filler, etc. The main use of CPC is in the production of anodes for the Aluminum Smelting process. 70 - 80% of CPC is for the Aluminum Industry. The reason for use in the Aluminum Industry is for conductivity. Another use for CPC is TiO2 production which accounts for about 15% of the CPC consumption. The reason for use in TiO2 is for its oxidizing effect. Metallurgical Industry is the remaining major area where CPC is used. The reason for use in Metallurgical Industry is the high Fixed Carbon level (low ash level) and moderate sulfur levels. 300 thousand MT, which supplied more than 50% of the low sulphur grade used in Asia-Pacific, and we have so much advantage in low sulphur and medium sulphur grade CPC. Our quality is steady and excellent, which being the best service. So we have obtained great reputation from majority of customers.